We have been speaking so many times about our Tuscany bike tours, creating your best way for a customised, intimate ” I bike Tuscany”. Ride your bike through our outstanding Region, enjoying local food&wines! 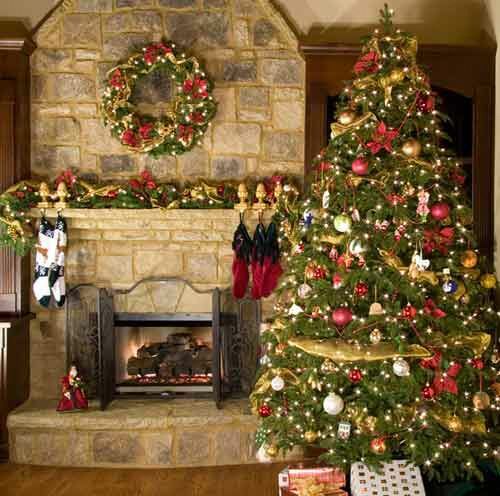 Christmas is just around the corner and all of us are now involved in choosing the best menu, the most passionate and emotional, to celebrate this day with love in the family. Seila, our Wine Expert, wants to give you her personal brief and simple directions to enjoy yourself in searching the right ingredients for enriching, why not ?, your traditional Christmas with some simple and delicious ties to Tuscany tradition. Italian cooking was arguably born in Tuscany at the Medici court. Today, Tuscany represents Italian cooking at its most rustic&simple. 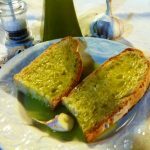 Tuscans have been nicknamed “mangiafagioli” (bean eaters), but I eschew the assertion by some that Tuscan cuisine is only about “beans, bread, and more beans.” I’ve highlighted below some of the regional specialties of Tuscany. Many Tuscan classics begin with a rustic loaf of unsalted pane toscano. Bread, sliced thick, grilled, and rubbed with garlic is known as panunto. It is the basis of several classic Tuscan dishes. Fettunta is panunto but served with the year’s first extra virgin olive oil, and is a specialty of Tuscany. Panunto and fettunta are the most basic type of bruschetta “grilled bread” as it is named and known in other Italian regions. Bruschetta can also be topped with an array of ingredients. Eating bruschetta in Tuscany refers to crostoni to which lentils, stewed tomatoes, liver, salumi, etc. are added as a topping. Bread can also be torn apart and added to a salad with tomatoes, onion, and basil and extra virgin Tuscan olive oil creating a deliscious dish: panzanella. Bread thickens Tuscan soups such as ribollita with kale, pappa al Pomodoro (tomato), and zuppa di pane. While soup plays a primary role, pasta is no stranger to Tuscany, especially when topped with a rich ragù of duck or wild hare. Meat ragùs of game are also served over polenta or farro, the ancient grain, especially those made of cinghiale (wild boar). The southern half of the Tuscan coast known as Maremma is densely populated with wild boar, where the cinghiale hunting is a celebrated event. Hunters and their dogs eagerly sniff out the boar in orchestrated hunts and transform their bounty into grilled ribs (rostinciana), roast loin (arista), spit-roasted livers wrapped in bay leaves (fegatelli), or as porchetta. Cinghiale is also used for sausages, prosciutto, and salame known as finocchiona (flavored with wild fennel seeds). Stewed or rich ragù di cinghiale is served over pappardelle or polenta or faro. Tuscans are Italy’s great meat-eaters. The indigenous white Chianina cattle grazing in Tuscany Val di Chiana are butchered into two-inch-thick steaks called Florentine steak. These steaks are grilled over coals and blood are served raw and are Often accompanied by stewed cannellini beans or roasted porcini mushrooms. Another popular dish, sliced beef with rocket raw steak is sliced into thin strips and served with arugula and shavings of Pecorino Toscano and lemon. Last but not least, fresh ricotta (Tuscan whey cheese made from sheep milk whey left over from the production of cheese,) by the way, is excellent when served with fava beans in springtime with a simple drizzling of oil. 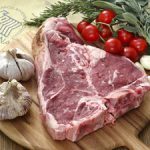 These steak and vegetable combinations are ideal partners for several traditional Tuscan red wines known as vini da arrosto (wines for roasts), including Chianti Classico Riserva, Brunello di Montalcino, and Vino Nobile di Montepulciano. Of course, surely the best are the little red niche wines, Sangiovese SuperTuscans, superb steak-wines worthy as well.